Studies on melatonin have documented that the body’s own melatonin production helps us fall asleep, yet research on supplemental melatonin has been disappointing. What many have missed is that certain foods provide natural forms of melatonin, which have been shown to raise melatonin blood levels naturally and significantly aid sleep. An abundance of research has linked higher melatonin levels with the ability to fall asleep. Yet this research has been done on the body’s own melatonin production. Melatonin production is stimulated by the pineal gland as the sun sets and the lights dim during the later evening. This helps us fall asleep, as melatonin helps slow down cellular metabolism. As most of us age, and especially with higher stress levels, our body’s ability to produce melatonin wanes. This can produce a chronic issue of sleeplessness – which has the potential for producing greater risk of various disorders as we age – as lack of sleep quality has been linked with a myriad of chronic disorders, from chronic fatigue to dementia. Yet synthetic melatonin – either produced in the lab or from cow urine – does not produce the same effects as the body’s own (endogenous) melatonin. Some studies have shown that synthetic melatonin can help ones sleep-phase cycles slightly – helping during jet lag or similar situations – when our sleep cycles get messed up. And recently, research from Thailand’s Khon Kaen University has found that the body’s levels of melatonin can be naturally raised through eating of some tropical fruits. The researchers used a crossover study design with 30 healthy human subjects to see which fruits – tropical fruits selected for their melatonin content – would naturally raise the body’s melatonin levels. The researchers tested six tropical fruits among the volunteers, giving them a diet heavy in that particular fruit for one week following a one-week washout. During these periods the researchers analyzed the subjects’ urine levels of 6-sulfatoxymelatonin – also referred to as aMT6s. With each different fruit, the subjects’ aMT6s levels were tested. 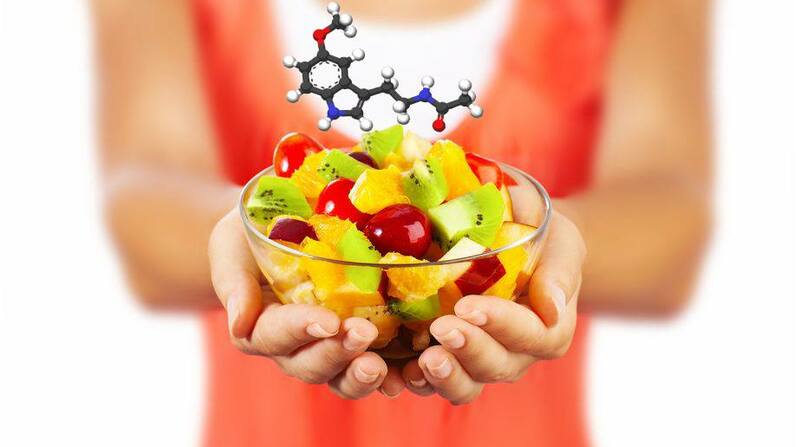 The 6-sulfatoxymelatonin (aMT6s) levels after eating some fruits – notably pineapples, bananas and oranges – increased significantly. Pineapples increased 6-sulfatoxymelatonin (aMT6s) levels by over two-and-a-half times (266%) while banana increased aMT6s levels by 180% – almost double. Meanwhile, oranges increased aMT6s levels by 47%. Adams C. NATURAL SLEEP SOLUTIONS FOR INSOMNIA: The Science of Sleep, Dreaming, and Nature’s Sleep Remedies. Logical Books, 2011. Case Adams is a California Naturopath and holds a Ph.D. in Natural Health Sciences. His focus is upon science-based natural health solutions. He is the author of 25 books on natural health and numerous print and internet articles. A listing and description of many of his books can be found on Realnatural.org. His new video series on low back pain can be found at Healthy-back.net. Case appreciates feedback and questions at case@caseadams.com.